One of our exclusive figurine statue lamps. 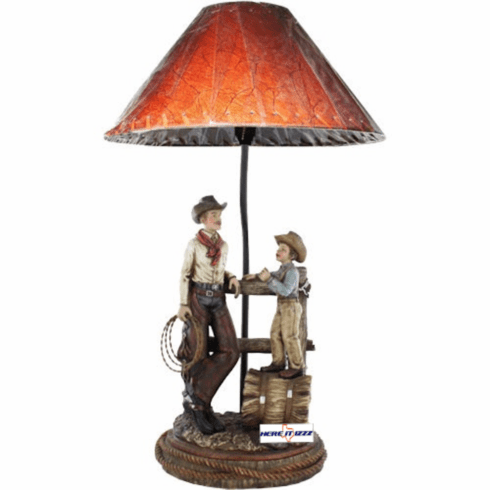 This lamp show the Cowboy and his son spending the day together. A creative and captivating Western theme lamp.